A DETECTIVE – As a fierce, unrelenting winter grips Quebec, shadows are closing in on Chief Inspector Armand Gamache. Most of his best agents have left the Homicide Department and hostile forces are lining up against him. A DISAPPEARANCE – When Gamache receives a message about a mysterious case in Three Pines, he is compelled to investigate – a woman who was once of the most famous people in the world has vanished. A DEADLY CONCLUSION – as he begins to shed light on the investigation, he is drawn into a web of murder, lies and unimaginable corruption at the heart of the city. Facing his most challenging, and personal, case to date, can Gamache save the reputation of the Sûreté, those he holds dear and himself? I am a dedicated fan of Inspector Armand Gamache and his next adventure is always eagerly anticipated and has never disappointed. We are exposed to the tension in this book from the first sentence. Audrey Villeneuve’s fear is palpable as she drives through a tunnel expecting it to collapse and crush her. It is the same tunnel she drives through every day with the same fear but unlike every other day, today the traffic is at a standstill so she takes the Champlain Bridge exit, not a good decision! However, we do not find out until much later who she is and whether or not this is just a fear of tunnels or a more specific fear. The tension continues as Gamache is surrounded by treachery and although he knows the identity of the puppet master (his superior, Chief Superintendent Francoeur) he is unsure as to the reason he is being targeted. Francoeur has dispersed Gamache’s detectives to other areas and surrounded him with Francoeur’s own ‘men’ who are lazy, surly and who believe that the end justifies the means, not the way Gamache works. Agent Isabelle Lacoste and the people of Three Pines appear to be the only people he can trust as he undertakes the investigation into the death of one of the most well known women in the world – Constance Ouellet – the last of the famous Canadian quintuplets. Covertly, with Superintendent Therese Brunel and her retired doctor husband, Jerome, he is also trying to discover the reasons behind Francoeur’s determination to destroy him. Gamache is still concerned about Agent Jean-Guy Beauvoir, whose drug habit has worsened under Francoeur. Despite Beauvoir’s hostility and the fact that he appears to be involved in helping destroy Gamache, Gamache continues to try to save him. 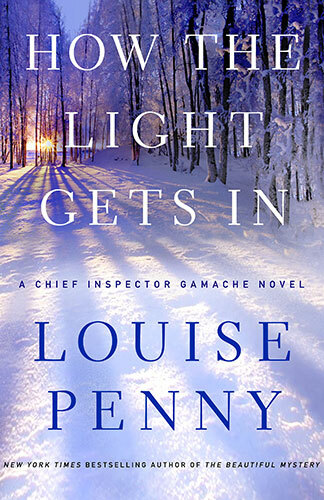 This Gamache adventure is full of tension, twists and turns but Louise Penny just gets better with every new Gamache novel. I try to read them slowly to make them last but I have again failed miserably. A terrific read!